What's Going On At New Hampshire Hostas! Articles & More! 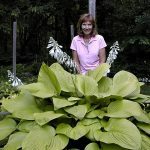 Which Are The Largest Of The Giant Hostas? Hostas are incredibly versatile perennials that can brighten any garden with endless variations of colors, sizes and shapes. They're extremely hardy, require very little maintenance and, best of all, hostas are shade tolerant! Why Should I Grow Fragrant Hostas? 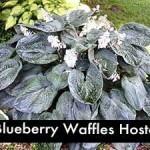 What is a Hosta and Why Should I Grow Hostas?